The new top news executive at NPR hopes that increased collaboration with the network’s member stations can produce stronger local and national journalism. 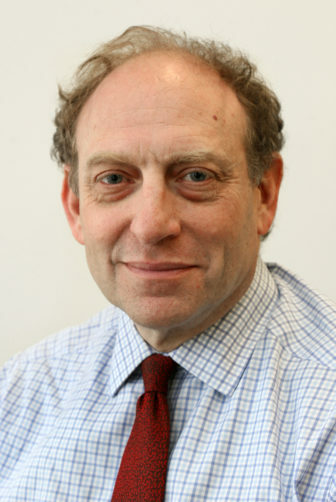 NPR announced Thursday the hiring of Michael Oreskes as senior v.p. for news and editorial director. He begins in the position April 27. Oreskes will report directly to NPR President and CEO Jarl Mohn, under the new management structure Mohn implemented in October 2014. Oreskes heads to NPR from The Associated Press, where he currently serves as v.p and senior managing editor. Prior to that, he worked as executive editor of The International Herald Tribune and as deputy managing editor of The New York Times. NPR also promoted Chris Turpin, who has led NPR News on an interim basis after Margaret Low Smith left the position last year, to v.p. of news. The position has been repurposed with additional responsibilities and changes in newsroom hierarchy, according to NPR, and fills the void left by Ellen McDonnell when she retired last year. Oreskes “brings a unique perspective on how to cover the most important stories of the day and an understanding of the issues that are being overlooked or not reported well,” said Mohn in a press release. Former colleagues of Oreskes’ had high praise for him as a journalist and newsroom leader. “I don’t know what plans he has for NPR, but at the very least his arrival means that one of our greatest journalistic treasures is not about to take a dive down-market,” he said. In addition to supervising AP’s global news coverage, Oreskes also “coordinated with member newspapers and broadcasters of the AP for more collaborative journalism tailored to respond to regional and local news,” according to NPR. That experience may aid Oreskes in collaborating with NPR’s member stations. “Deeper, even more robust collaboration with our colleagues at public radio all over the country” is a “very high priority” as he enters his new role, he said. “NPR needs them, and I hope they feel they need NPR,” he said. Oreskes is considering what those collaborations could be and points to NPR’s collaboration with WNYC in New York City during Hurricane Sandy as one effective model. “I’d like to see much more of that all over the country,” he said. NPR could also offer more training to journalists at member stations, he said. “Can NPR be doing more for member stations by helping them develop their news capacity by helping them train people, by learning skills from NPR people?” Oreskes said. Oreskes lacks experience in radio and admits that he has learning to do in that area. But he believes his experience in journalism will outweigh any lack of radio skills. Going forward, radio and digital will be equally important to NPR, he said. Public radio news directors hear from colleagues and experts on preventing, and responding to, harassment in newsrooms.